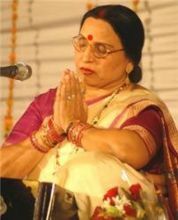 Shardha Sinha is an Folk Singer. She was born on 1 October, 1952 in Samastipur, Bihar, India. She is also a Flok Music Professor in Samastipur. 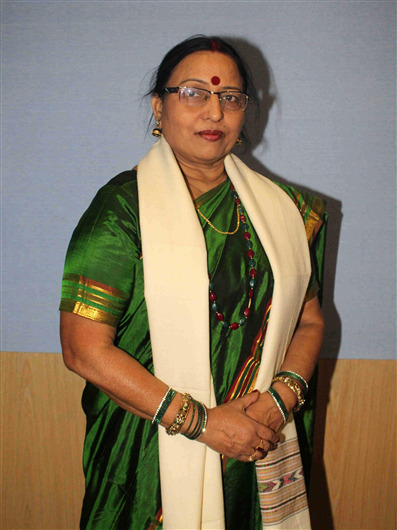 Shardha Sinha sings in Maithili, Bhojpuri and Magahi languages. 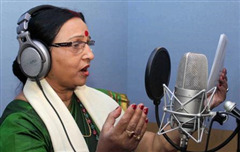 She also received Padma Shri for her contribution in music. Prayag Sangeet Samiti organised Basant Mahotsava at Prayag. She regularly perform during Durga Puja Festivals and she also performed when the Prime Minister of Mauritius Navin Ramgoolam came to Bihar. She has sung in many movies such as Deswa "Taar Bijli" from Gangs Of Wasseypur - Part 2, Kahe Toh Se Sajna from Maine Pyar Kiya and Hum Aapke Hain Kaun and has also produced Several music albums such as Dulhin, Pirittiya and Mehndi. 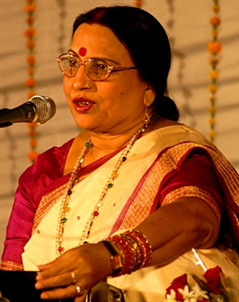 Bihar "Kokila" Shardha Sinha is also perfromed in Pragati Maidan in The Bihar Utsav in 2010, New Delhi. 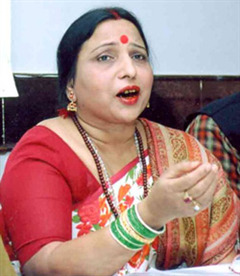 Sharda Sinha captivated the audience with the rendition of her famous songs 'paniyakejahaaj se paltaniya' and other Bhojpuri and Maithili songs on the second evening of BiharUtsav in Delhi on 16 March 2013. Why Book Sharda Sinha Through ArtiseBooking?